To make an appointment or for any other enquiry please contact us by email or use the contact form below. We offer a 10 minute free phone consultation for new clients. Let us know when you’re free to talk and we’ll give you a call. This area can be left empty if you do not wish to give details of your enquiry. 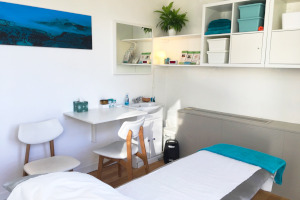 Islington Acupuncture is on Gaskin Street, just off Upper Street, a 5 minute walk from Angel tube station and 10 minutes walk from Highbury & Islington tube station. Routes 4, 19, 30, 43, 38, 56, 73, 341, 476 all run past the end of Gaskin Street. Highbury & Islington (Victoria Line and London Overground): roughly 1km or 10 minutes walk. Turn right out of the station and walk down Upper Street. 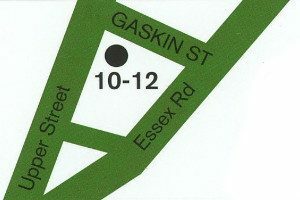 Gaskin Street is on your left after St Mary’s church. The N1 shopping centre car park and the Business Design Centre car park, are both just off Upper Street and well signposted from it. Both are less than five minutes walk from Gaskin Street. Gaskin Street itself has just a couple of pay & display places but there are more on nearby streets. These operate between 8.30-18.30 Mon-Fri and 8.30-13.30 Sat. Parking on yellow lines is possible outside of these times. Most of Upper Street is a red route with no stopping 7.00-19.00 Mon-Sat. Avoid residents’ parking bays unless you have a permit, since there is a risk of being clamped.